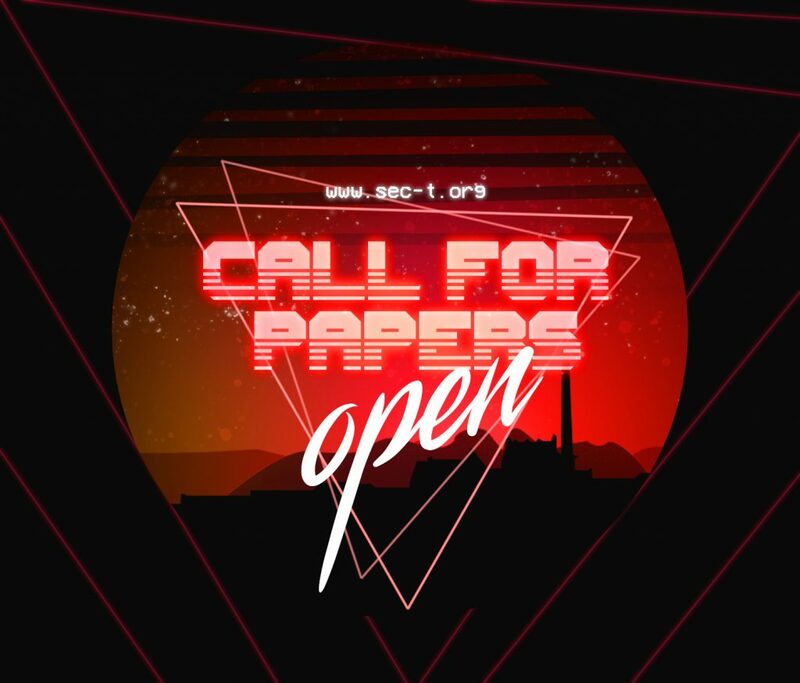 The SEC-T Organizer team is proud to announce the start of the 2019 call for papers for the 12th anniversary for the annual SEC-T Conference in Stockholm, Sweden. This Call for Papers extends to both the main conference and the preceding community night event. SEC-T is an non-profit, English speaking, two day, single track information security conference taking place in late summer every year in Stockholm, Sweden. At SEC-T we focus on providing our audience with high quality talks and in depth “QnA” with speakers. SEC-T is a conference where you can feel safe from sales pitches and marketing presentations as we have a large focus on our speakers research and first person accounts. The speaker slots on our schedule are either 30 minutes (SmallTalk) or 60 minutes (Talk), where the latter contains a 15 minutes moderated question and answers session (QnA). The SEC-T2ion [Di-sec-tion], are our in-depth workshop sessions taking place on the 17-18:th of September. The Community Night event is a free event intended to be inclusive of students and non-ticket holders, taking place on the evening of the 18:th of September. The SEC-T conference is the main conference taking place on the 19-20:th of September. All events take place at the venue; Münchenbryggeriet in Stockholm, Sweden. We are a single track conference that has focuses on highly technical content in a multitude of fields of computer security. Since we are a single track conference talk slots are limited and we are therefore not likely to feature several talks covering the same subject. Some of our most popular subjects in the past has included Malware reverse engineering, Radio attacks cryptography as well as System specific hacking techniques including mainframes and SAP systems. We do rate premiere talks higher than talks that have previously already been presented somewhere else. So if you have already made this presentation, please add some content to it to make it unique if you can. If your submit a Talk (45+15min) you should consider if your talk could also be made reasonably in 30 minutes as this would increase your chances of getting accepted. If you have the possibility to also speak at the Community Night you increase your chances of being accepted. Community Night speakers are backup speakers for the main conference and also receive travel and accommodation. The Talk Title please name your talk as this will make it easier to reference it. A short description (<6 sentences) of who you are (bio) that we are permitted to publish in case of your acceptance. A longer description of your content for our understanding of your research material and presentation format for our consideration. This could contain any papers, articles or presentation material you have created that will help us understand your content. References, if any, to other talks you have given, articles published or videos of previous presentations for our consideration. The location you would be traveling from. Technical requirements for making your presentation. Has this presentation been given before somewhere? Are you willing to present your talk at the community night? Are you willing to have your talk recorded and/or live streamed? All material must be presented to us and our audience in English. As an accepted speaker you will of course always be provided with any required travel between your location and the venue as well as accommodations during the conference* (19-20:th of September). You will also have food and drinks included for the duration of your stay. The only difference between speakers speaking at the main event and community night speakers is that speakers at the main event also receive an honorary of 10.000SEK (approximately 1000€) per talk for their performance. * To minimize or eliminate the hassle of handling expenses SEC-T will make ALL travel and accommodation arrangements. FINAL SUBMISSION DEADLINE: August 1:st.
To ensure your submission is considered it must be made before August 1:st, and to increase your chances of being selected as a speaker it is recommended that your submission is made before June 1:st or July 1:st. Acceptance rounds usually takes less than a week to complete, submissions made before July 1:st will automatically be considered for the August 1:st round as well. As a speaker you will be notified that we have received your submission and when we have come to a decision regarding your participation. Be sure to indicate if you also can consider giving your talk at the Community Night Event. Speakers accepted for giving a talk at the community night are automatically considered as backup speakers for the SEC-T conference. A backup speaker giving a talk at the conference grants that speaker the regular 1000€ honorary. All official communication between speakers and the SEC-T organizers will be handled through the [email protected]. Once you are accepted as a speaker, travel and accommodations will be handled by one of the organizers.